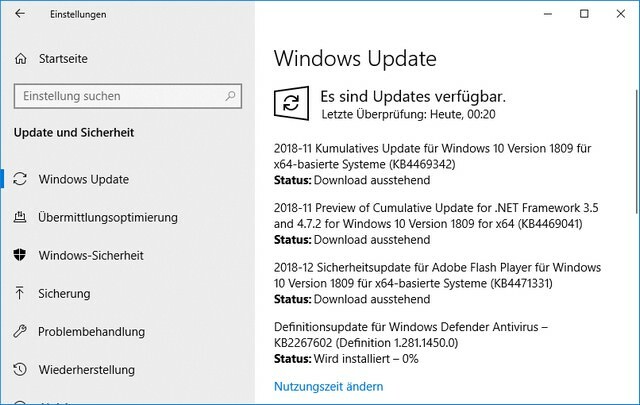 [German]After a longer test phase with Windows insiders, Microsoft released the cumulative update KB4469342 for Windows 10 Version 1809 on December 5, 2018. This fixes many bugs in this Windows 10 build. 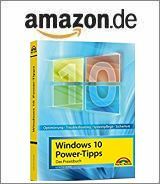 Within this German comment (thanks) a user pointed out that Microsoft released the update KB4469342 for Windows 10 Version 1809 on December 5, 2018. I had a test machine search for the update, and it was offered via Windows Update in the settings app (see picture above). Note: Microsoft rolls out a preview of a cumulative update for the .NET Framework (KB4469041). The announcement can be found in at Technet. Update KB4469342 is available via Windows Update. But you have to start the update search in the settings page. The package can also be downloaded from the Microsoft Update Catalog and installed manually. For installation it is necessary that the Servicing Stack Update (SSU KB4470788) is already installed. If Update KB4469342 is installed via Windows Update, a missing SSU will be installed automatically. Microsoft says that with this update the Seek Bar in Windows Media Player is broken. A fix is planned until mid-December 2018 (see Windows 10 V1607: Update KB4478877, WMP fix is coming). Furthermore, the bug in Edge mentioned in the blog post Windows 10 V1809: NVidia hibernation issue & Edge bug is still listed as a known problem. This issue should be fixed with the nVidia hotfix update of the graphics driver mentioned in the blog post. 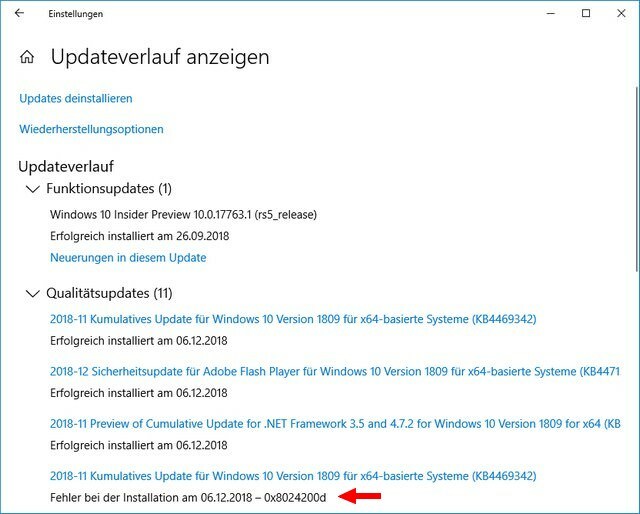 Something funny on the side: The update threw an error 0x8024200d, as it is described in the blog post Windows Update Error 0x8024200D. This is probably a download issue, but was corrected by the update client automatically. Afterwards the update has been downloaded and installed. This installation process even ran surprisingly smoothly. Addendum: Some slight issues has been reported. One user wrote, that there is no mor Windows Hello login. This could be a privacy setting for Camera app in Settings page. Another user left a comment within my German blog, that the network adapter has been set to ‘public’ on 3 machines – so no more RDP connections was possible. This entry was posted in Update, Windows and tagged KB4469342, Update, Version 1809, Windows 10. Bookmark the permalink. I posted an English picture I found on the net, but it looks the same in German. Seems like an old practice. Anyone knows a way how I can run old software? I don’t like the new CCleaner, too much telemetry against my will. Have you tried the compatibility mode für CCleaner (see here)? It is not a compatibility issue. 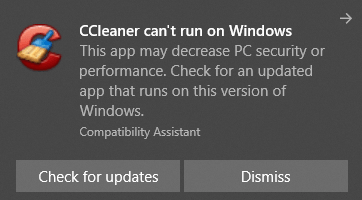 CCleaner runs again once I remove the much needed update KB4469342. For now I let MicroSoft and Avast (now owners of CCleaner) win, but I blocked CCleaner fully in my firewalls. As it happily tries to send data off my PC and fails. It’s a shame they use kill-switches to “coerce” users into installing versions that collect data of the user. And that guide does not work. Thanks for trying to help, friend! If you click Dismiss, does CCleaner start and work? Version 1809 of Windows 10 has errors in Notepad keyboard shortcuts in languages other than English. Some custom keyboard shortcuts for the language appear in the menus, but the only ones that work are English. For example, to search in Spanish use CTRL + B (it appears in the menus of Notepad) and then pressing the keys does nothing. In contrast, CTRL + F does work. There is a transfer error of the keyboard shortcuts of the particular language and only the English ones work.